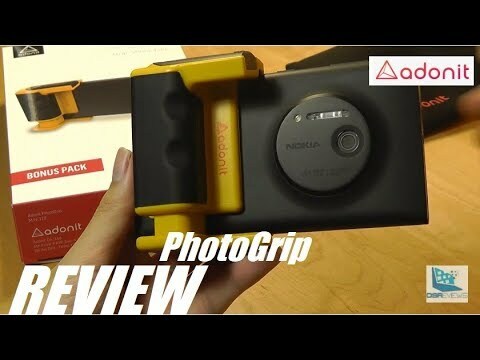 I originally started to write a small photo comparison between the Nokia 9 and the Lumia 1020. I originally started to write a small photo comparison between the Nokia 9 and the Lumia 1020. Then I started to cover the phone a bit more and soon I noticed that I was out of space in this platform. So I quickly just made a random blog where I wrote in length about the Nokia 9 and the Lumia 1020. If you're interested about the images that the Nokia 9 can take, go check out the link. I also have other noteworthy stuff about the phone. I asked @madbilly what questions he and the forums have about the Nokia 9 and I think I answered some of them. If you have a question about anything, feel free to ask and I will answer to the best of my knowledge. I also took a lot of the compared pictures with the Nokia 8.1 and it performed really well, but I feel like the Lumia 1020 comparison gives a better ballbark of where the Nokia 9 sits with it's camera(s). 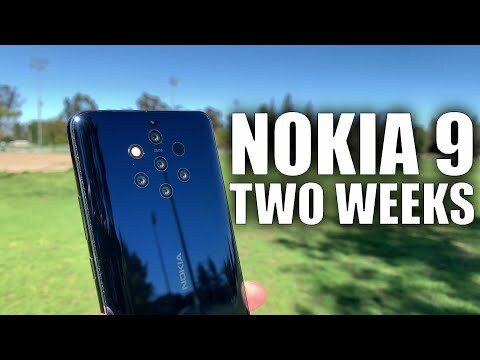 Some of you might know that I was in Dubai for the Nokia 8.1 launch and I had some stories to write about that trip, but ultimately I was too lazy and procrastined too long. So here's a little something from me to the community; I bought a Nokia 9 so that you can make a better decision whether that phone is worth your money or not. @juho lemmetyinen Great review! Thanks for trying to answer my questions and well done on the recommendations for improvements and for the 9.1! I hope the other @juho is reading this! Good tip on the fingerprint sensor. In fact this is also how I use the sensor on the 8, although I'm sure they're different technologies so there should be no reason why the same method would work well on both. I think the lens profile in LR is there now - look for N9. Your points about low light shots reinforce (for me) why there should be presets in the auto (non-pro) mode. On the Lumia there were presets for sport, dark and macro shots (IIRC). If we could select one of these it would guide the camera to how to select the best settings for the scene, rather than leaving it completely to the choice of the camera app. Even Google do this with their night mode AFAIK, so it's not an odd thing to do and would really help stop all these comments about "bad low light performance". Do you still have the headset of your old N900? I think that is an OMTP one which you could try. Lack of any manual focus option in pro mode is very strange, I hope they change that. Your comparison shots with the Lumia 1020 definitely demonstrate the advantage that a large sensor has in depth-of-field effects. I might get out my N8 for a comparison! (1/1.83″ sensor size and 1.75um pixel size! bigger pixels but slightly smaller sensor than the L1020). The colour reproduction and dynamic range are things that I see more and more reviews highlighting as the strengths of the 9PV. I think that all headsets from Nokia prior to the Lumia range were OMTP. I'm not sure about the N9 one, it might have been AHJ. All Symbian phone headsets were OMTP. juho lemmetyinen With regard to the first night scene using manual mode on the Lumia 1020. In the 'Lumia Camera' App one can manually adjust White Balance, and compensate Exposure by + or - 3EV. Were you still unable to produce a more accurate photo of the scene? With regard to the camera shake you experienced why were you unable to set a faster shutter speed? The OIS has permitted me to hand hold at 1/10 sec at 800 ASA. I have a question for you @juho lemmetyinen Is it true that volume button works as a camera shutter button ? And if it does, have you used it ? And how does it feel ? @n808 the Lumia fares better when there's no backlight, like the street lights. @TommiS I think that all smartphones have that functionality, at least Nokia phones do. I use it sometimes, if I want to get a better grip of the phone with one hand. It has no two stage focusing abilities, but it just takes the photo. The volume buttons are in an awkward spot for right handlers, but sometimes they get the job done 👍 Feels just like a volume up/down click would do. Why not consider the Adonit PhotoGrip with it's Bluetooth shutter release. I turn the Nokia 8 upside down and use the volume button with my thumb if I need to use only my right hand, otherwise I use my left hand. In phone use, I sometimes activate the speakerphone function and once muted the call by my cheek. This is a failure of the programming as the proximity sensor should switch of display and disable these function "keys" on the touch screen while the phone is held on the ear. Luckily, such bugs are easy to fix with over-the-air software updates. A similar comparison between Lumia 950 and Nokia 9 can be read on allaboutwindowsphone.com and confirms some very wrong presets in low light situations. @mydarkglobe unfortunately the link you posted was broken. @N808 I didn't post the hyperlink due to some moderation troubles, so you've to copy and paste the URL and It works properly. The article was written into 2 parts, your link is the second one. @madbilly I noticed you can somewhat stabilize the 4K video after the fact in google photos. I think this is not exclusive to the Nokia 9 by any means, but it does a pretty ok job at the stabilization. The file size in increased ~by half.